I have a horrible relationship with special editions of games. I’ve sworn them off, ever since that incident at CNA where I threatened to make a child bloodier than a Mel Gibson snuff film if he didn’t hand over the collector’s edition for Far Cry 3. 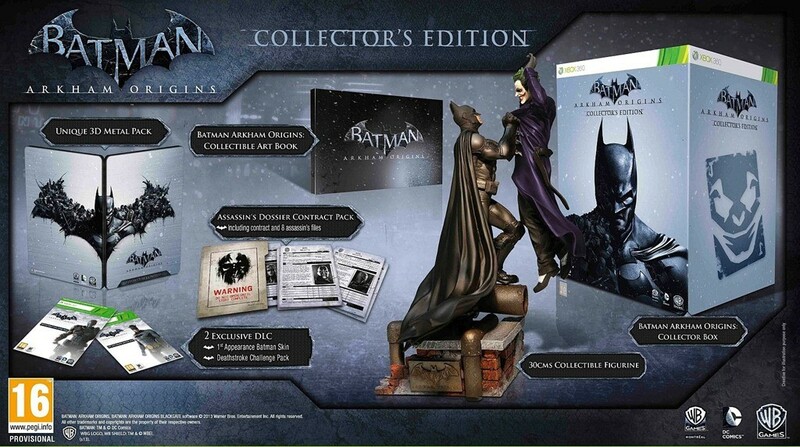 I’m on the fence though about getting the super duper edition for Batman prequel Arkham Origins. Especially if it means flying across the world to get this particular version. Exclusive Arkham Origins highly detailed premium statue featuring LED effects produced by TriForce (Height: 9?, Depth: 11.5?, Width: 13? It’ll cost you though. $129 to be exact. But dammit, I’d threaten another child smaller than me for the damn thing. Previous article Will GTA V be more fun than Saint’s Row IV?